I discovered this a while back. I basically read the first line, added it to my TBR, giddily waggled my fingers together...and then read the rest of the blurb and had to rip myself away from the computer to avoid preordering it immediately. Which I might do anyway. Since I have no willpower (or disposable income, but, oh well...). It reminded me of one of the best Doctor Who episodes, "Silence in the Library", and it's also one of the most creative, interesting, morbid, delightful concepts I've ever heard for a book. In case you haven't noticed, I'm a wee bit obsessed with death, things about death, things that may mention death. Whatever. I was a morbid kid who loved black roses. ("Loved" may be a bit loose of a tense...and "was".) But yeah, you should read this. I have the excerpt on my Kindle and I'm using it as a reward for writing my thesis. Cause I have no willpower. Did I mention this is an amazingly clever concept? That promises a lot of depth and intrigue? Hem. I know I'm not supposed to comment on these things, but I just wanted you to know that your excitement made my night. I'm glad you did, because your comment just made MY night! I cannot wait for your book to hit shelves. Best of luck! Ooo good choice! I haven't read it yet but it definitely sounds interesting! Thanks for sharing! I already have The Archived on my to-read list and I'm pretty excited about it too. The book sounds so interesting! Great pick. I hope you like it when you read it. Not heard of this one!! Nice thanks!! Really neat idea to have all the memories in a library that librarians can view. I'm very curious to see how that plays out! That sounds really spooky, but really interesting. Thanks for sharing! 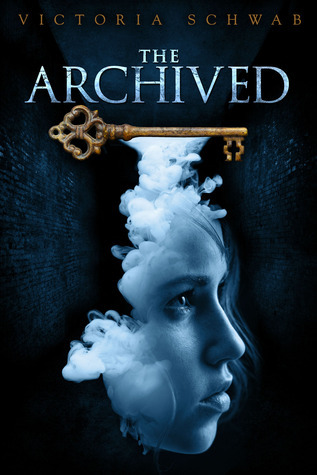 When I saw the image of The Archived and promtly went to comment about how I've been dying for this book for the last few months, and how the sneak peek from NetGalley just about killed me. But now after reading your thoughts, I'm a bit weirded out lol. As soon as I read this synopsis I thought of that exact Doctor Who episode but when I showed my DW loving friends the book they didn't make the connection. So I'm glad to know I'm not alone with that train of thought!